“Winter” has come to Sanibel & Captiva Islands! January brought cooler temps and the usual pattern of cold front after cold front. That can make life challenging as a fishing guide! When it’s cold, windy or both, you need to switch up your style of fishing in order to find feeding fish. Winter brings a host of species inshore, and one of the tastiest is the “Convict” or the Sheepshead. Sheepshead are a hard fighting species that are more than willing to bend a rod even on the windiest days here on Sanibel. 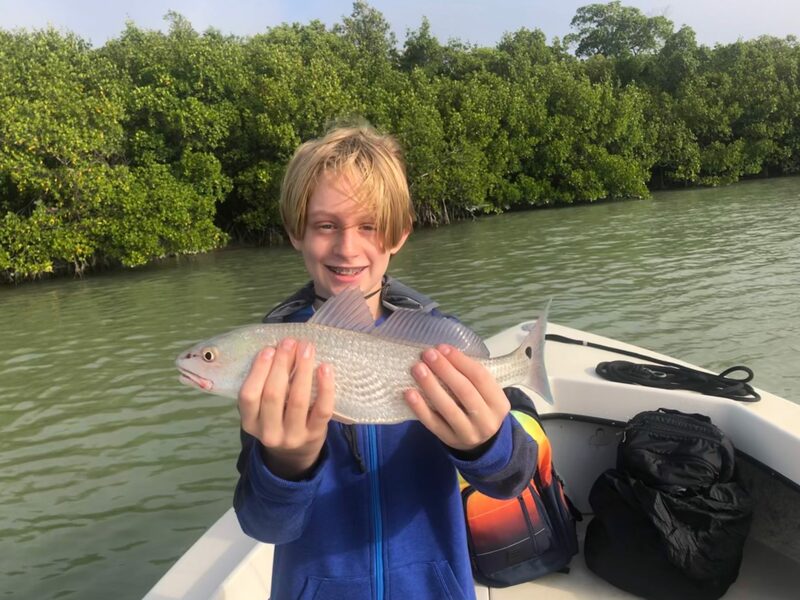 You can find them in a variety of places – inlets and passes, docks, rock piles, jetties, channel markers and even along some of your favorite mangrove shorelines. Sheepshead have dense white fillets that are very tasty and can be prepared a number of ways. Plus, I love their smile. It has also been an exceptional season for Redfish. While we always catch our share of Redfish, this year has brought large numbers of both adult and “Rat” or juvenile Reds. This is both a relief (given our water issues over the summer months) and encouraging for the future of our estuary. 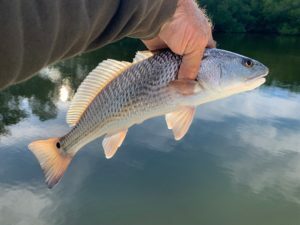 Redfish are one of my favorite species during the winter because they always fight hard and can be caught with a number of different tactics. Redfish are voracious eaters and will take a variety of live or cut baits and even artificials and fly’s. Harvesting of redfish has been suspended this year due to the red tide we suffered from last summer. Keep in mind this will only help strengthen our estuary for future generations to come. Venturing offshore during this time of year can be difficult. 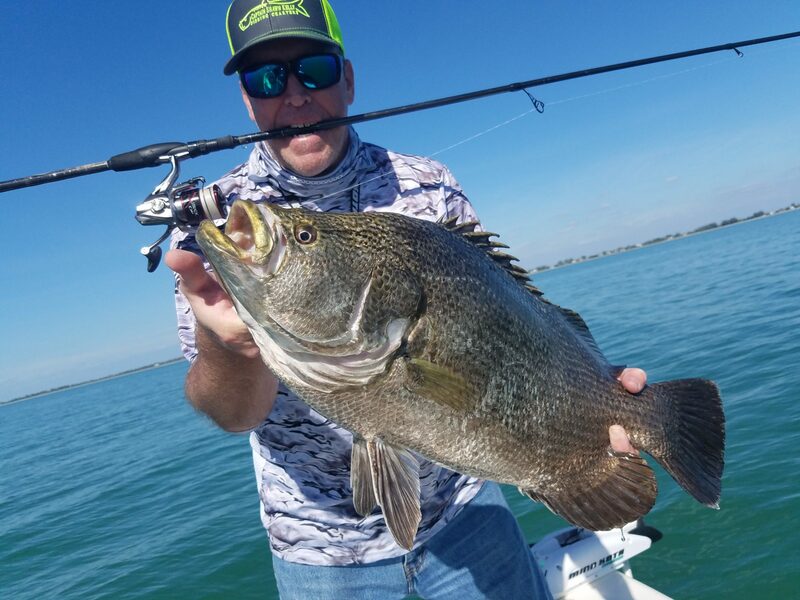 When the winds allow it, it can be a great way to get on the fish! The frequent winter cold fronts can create big temperature swings in the shallow waters of Pine Island Sound. The deeper waters of the Gulf tend to stay more consistent, and therefore the fishing generally remains productive. 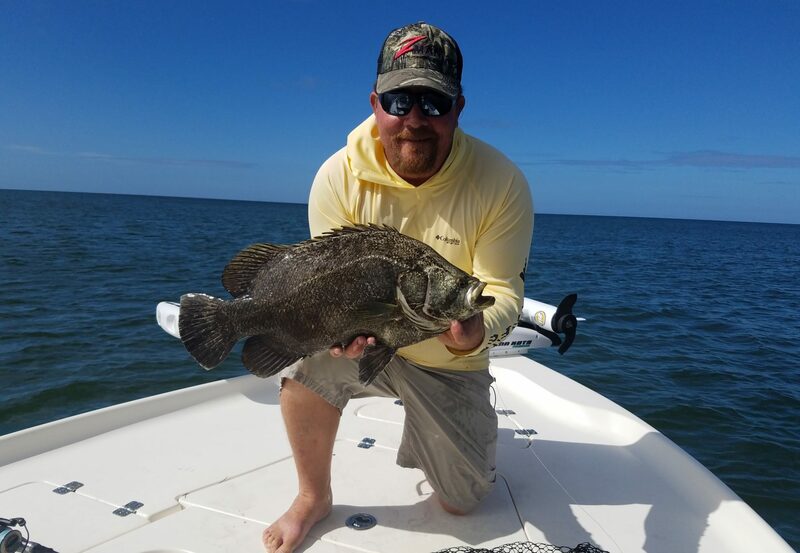 Some of our largest Sheepshead are caught offshore, along with strong numbers of Mangrove Snapper and Grouper. 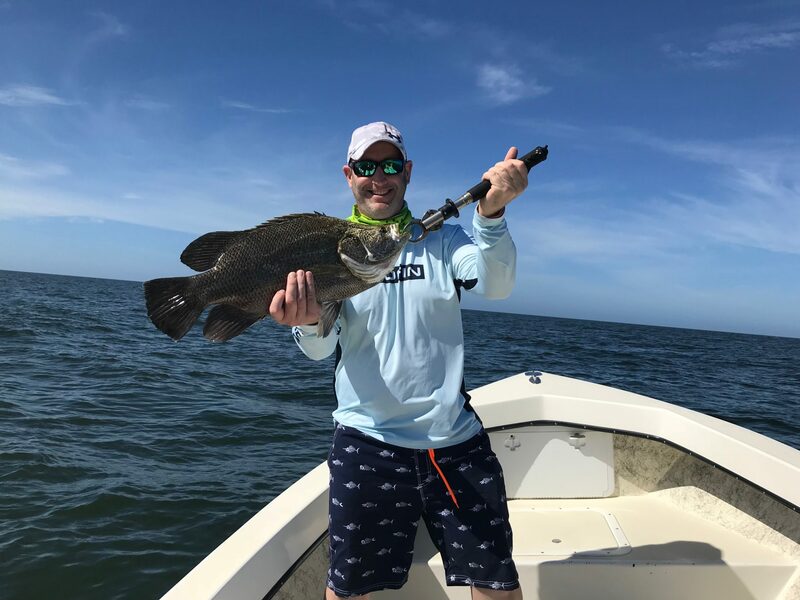 The Gag and Red Grouper bite has been good, but finding keepers near shore can be a challenge. 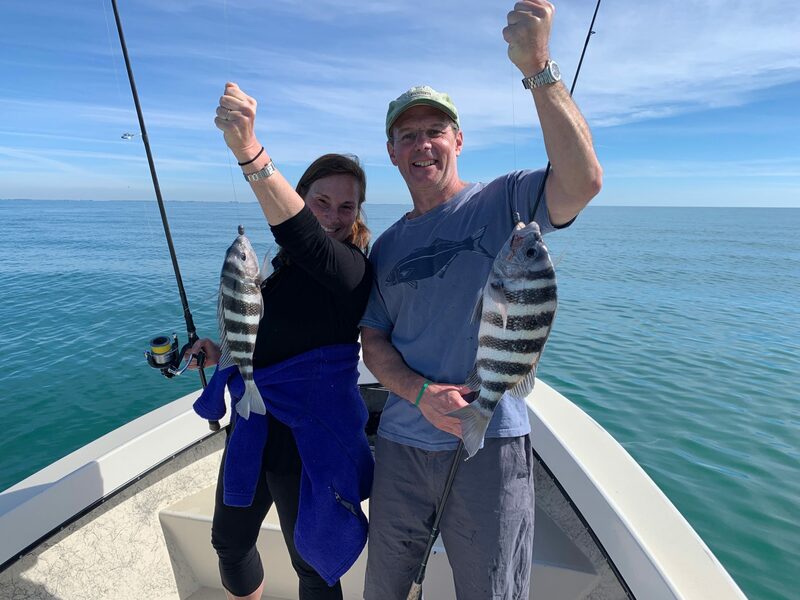 Fishing offshore also brings opportunities to catch other species such as the King Mackerel, Tripletail and many others. One thing is for sure, when you’re out in the Gulf of Mexico you never know what you might see or what you may catch! 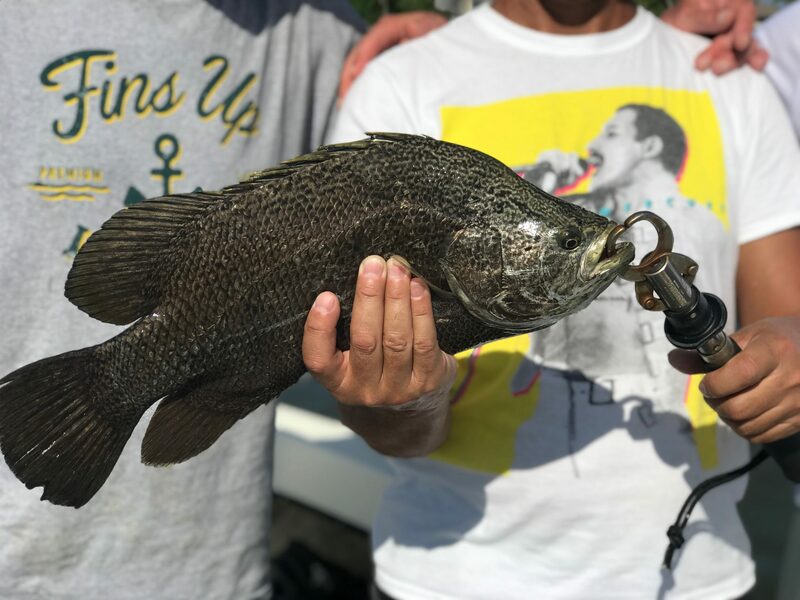 Tripletail have been plentiful this season, and can be a lot of fun as long as you don’t mind running miles of shoreline. 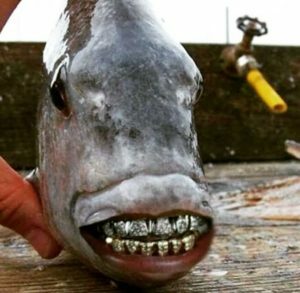 In my opinion, they are some of the best tasting fish in the Gulf. If you venture out to find some, please be courteous to other boaters, fisherman and be careful of the many crab pots that riddle the coastline. They are expensive for the crabbers and can cause damage if you hit one with your boat. So be sure to pay attention to your surroundings. 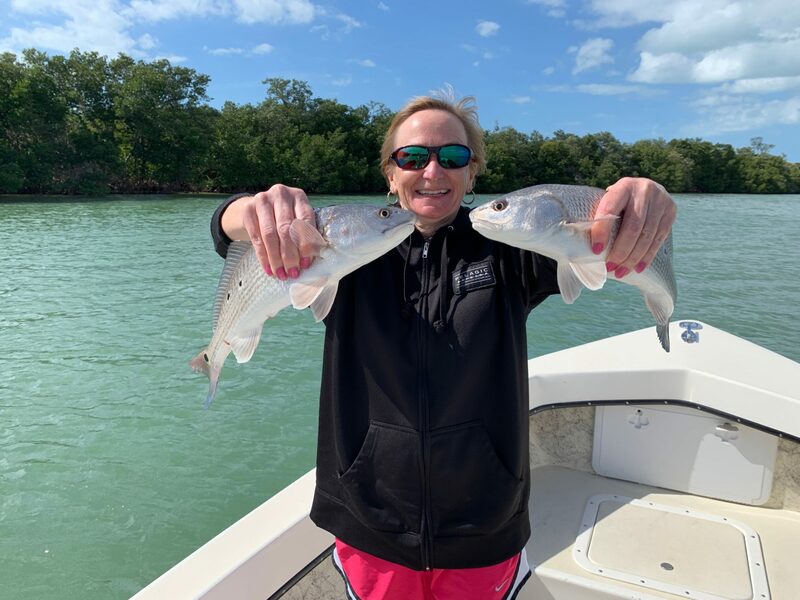 Shelling and sightseeing charters are also very popular this time of year. 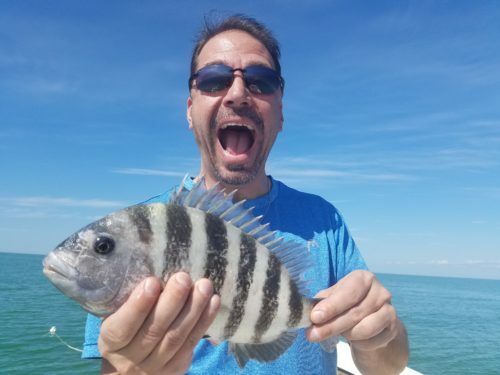 Low tides during the winter can help uncover some unique specimens from the more remote beaches of North Captiva and Cayo Costa. And there is always an abundance of wildlife such as Manatees, Eagles, Herons and Dolphins to keep you entertained. We’ll be glad to take you and the family out to explore! 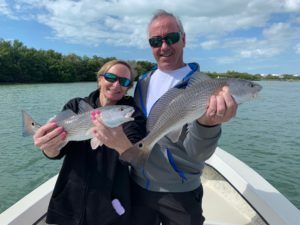 This is an amazing time of year here on Sanibel & Captiva! Get down here and find your happy place!! !